So, I am a day off this weekend with scheduled items.Â But here is your cuteness for the weekend. 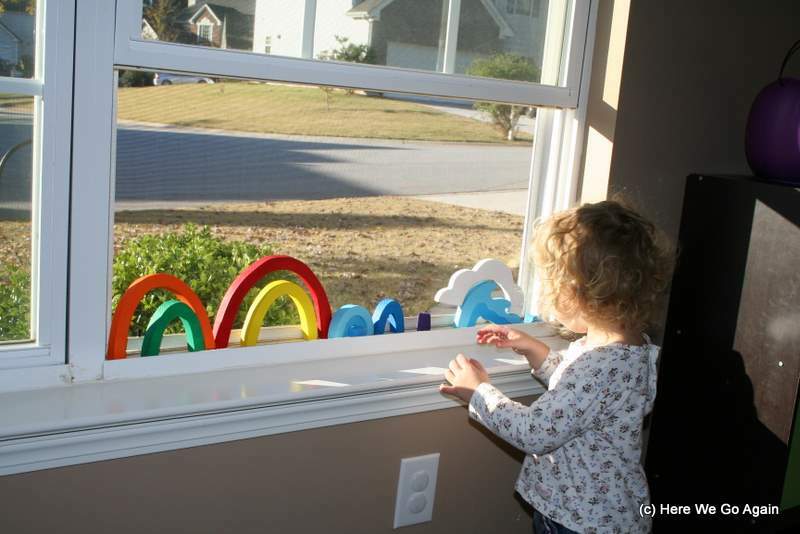 Elizabeth playing with her stackers in the windowsill. 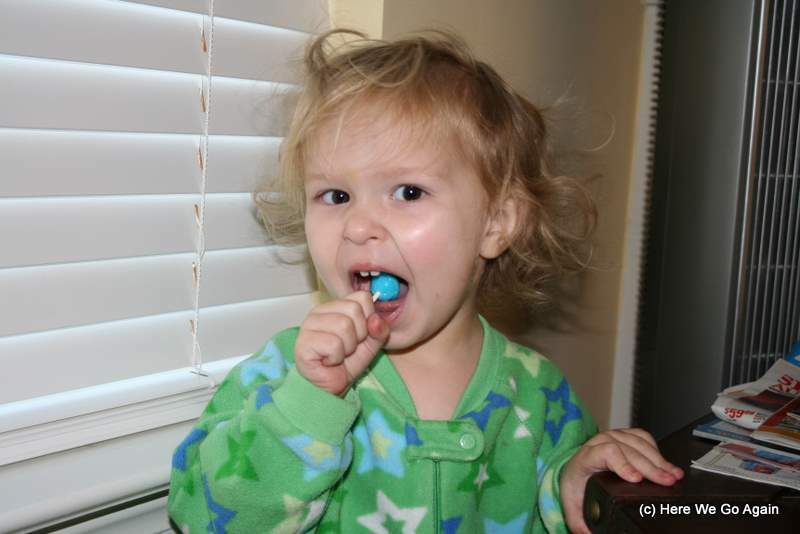 Matt was eating some Halloween candy before bed.Â In the morning, Elizabeth discovered a lollipop on the floor that he obviously dropped.Â She opened it herself and ate it (all before breakfast), shouting proudly “you do it!Â YOU do it!”Â (Again, her pronouns are backwards. )Â She was just so proud of herself for getting it open herself.